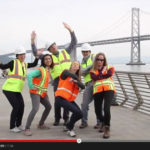 ASCE is offering a $5,000 grand prize for the 2014 Music Video Contest for Students and Younger Members (payable to your Student or Younger Member Group). 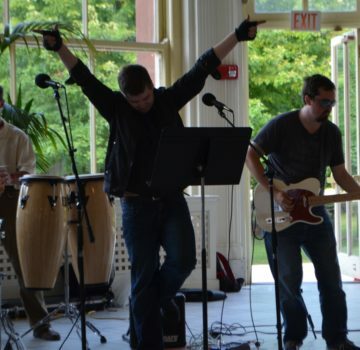 All you need to do is perform and record a video of your civil engineering themed parody or original song. Submissions will be judged on content, creative delivery and relevancy to civil engineering. Log on to ASCE’s Facebook page for all the details. Find your guitar quickly and start practicing now, because the submission deadline is December 12. Don’t delay. The first 100 qualified entries will receive a $100 award just for entering. 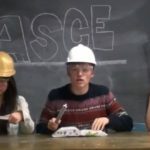 You’re more wall flower than Wallflower, wait to check out the winners on ASCE’s Youtube Channel, to be posted December 19th. Just to get your creative juices flowing, here are some suggestions. Please offer up some of your own in the comments. There’s sure to be a chart topping idea out there. Rolling in the Mill – A wide flange beam’s reaction to being told that it going to be boring and lonely and insufficient, and that it was a weak member if it didn’t stay in the blast furnace. Need Mu Now – The lyrics describe placing a call for a rough surface in the middle of the night due to the friction on a plane being insufficient to maintain static equilibrium. 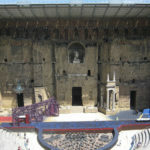 Waiting on the Turbidity to Change – The song’s theme centers on the singer and his drinking water’s excessive haziness. The First Dewatering Hole is the Deepest – The song concerns someone apprehensive about starting construction on a site with a high water table because he is still suffering from being hurt by his last failed excavation.